The completed mixed-use building stands eight storeys tall, featuring 308 studio units and three commercial spaces on the ground floor, occupied by Starbucks, Dominos, and Osmow’s. What more does a student need than coffee and a quick bite to eat? They actually need a lot – and University Studios accommodates. The SmartStudios™ are all approximately 300 square feet and feature a three-piece bathroom, a washer/dryer, a kitchenette with a microwave, stove top, dishwasher and fridge, a lounging area with storage, and a “military-grade” table-bed. The SmartStudios also include granite countertops, mirrored kitchen backsplash, they’re hardwired for high-speed Internet connection, an electronic study desk, a desk chair, two dining chairs, a couch, a television, and window coverings. Podium and Building Capital basically made it so these units were ready to go for any investor or student attending the nearby University of Ontario Institute of Technology or Durham College. University Studios also has a few amenities, including a social lounge, a concierge, four meetings rooms, a fitness facility, parcel lockers, a multi-use room, bike parking, and an outdoor lounge with barbecues and dining area. Each floor also has a social hub with a fully-appointed kitchen, dining area, and lounge. 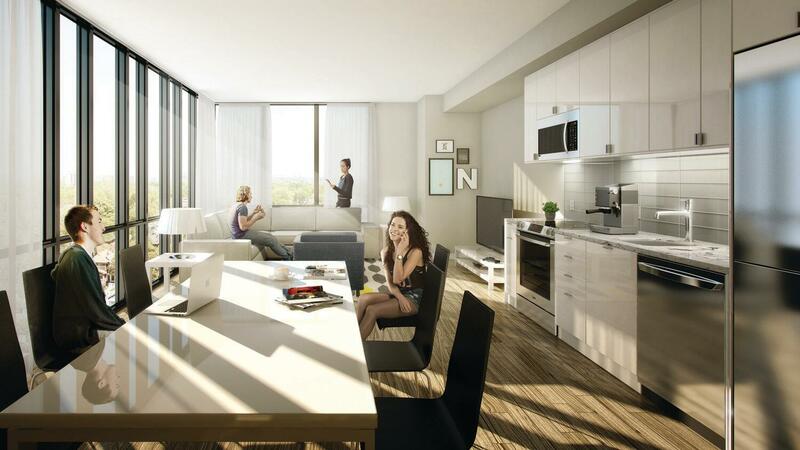 In a little over a decade, Podium has completed 25 developments in Toronto, Oshawa, Kingston, and Guelph. They have a knack for recognizing what a neighbourhood needs and then exceeding expectations. 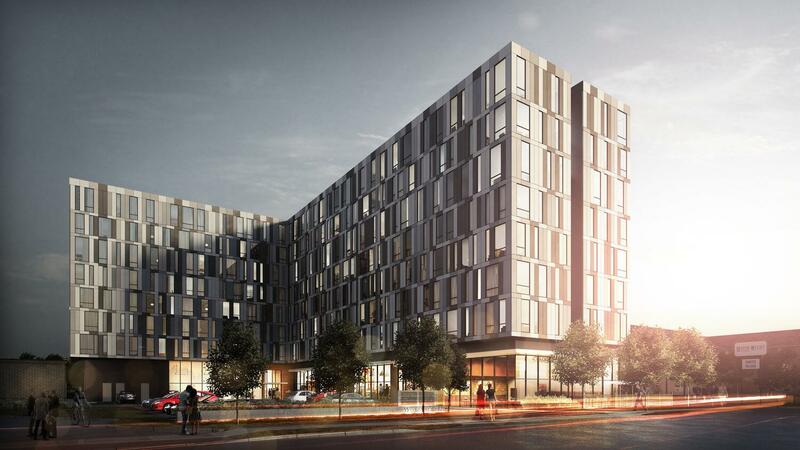 Just take University Studios as an example – they combined condo living with the student housing concept in an area desperately in need of high quality and affordable housing. Add Building Capital to the mix and you have a dream team. 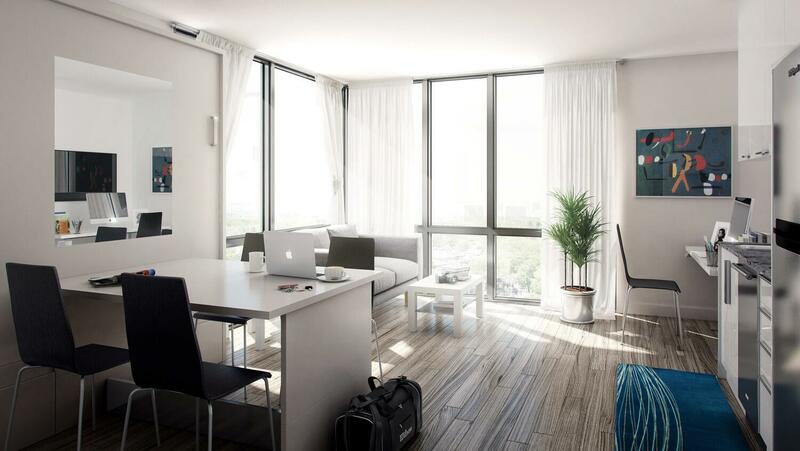 They specialize in student living and commercial real estate, and every one of their projects to date has been fully occupied at the time of completion. You should definitely keep your eye on Podium Developments and Building Capital because they both have a lot in the works!